The Mayan Astrology Sign Kej is about fours. It represents the four elements (earth, air, water and fire), the four parts of a human (physical, mental, emotional and spiritual), the four directions (north, east, south and west), and the four Mayan colors of humanity (black, white, red and yellow). It's about harmony, balance and stability. 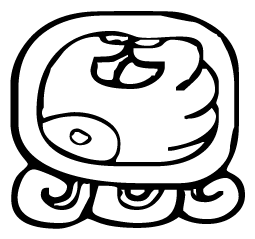 The Day Kej in the Mayan Calendar: This day-sign is a good day to find harmony and balance with nature. It's a day where you're unlikely to be betrayed or to betray others. Characteristics of the Mayan Astrology Sign Kej: You are a great adviser and leader. You want others to accept you, and enjoy the work involved in climbing the ladder in both your career and in society. You combine great analytical abilities with gentleness when dealing with others. This makes you very diplomatic when speaking to people. You hide your true nature from the public eye. This can make others think that you're the kind of person who gives in easily. However, once you set your mind to something, you don't give up until you get it. If you ever happen to fall, you get right back up and keep going. You're quite the romantic and fall in love deeply. When you're in love, you do everything you can to make things work. However, because you fall in love easily, you quite often discover in the end that you're with the wrong person. You need to remember not to get caught up in your head analyzing things. It's important that you also take action. You could do well as a judge, writer, psychologist, merchant, or researcher.